During the upheavals of the Reformation, one of the most significant of the radical Protestant movements emerged — that of the Anabaptist movement. 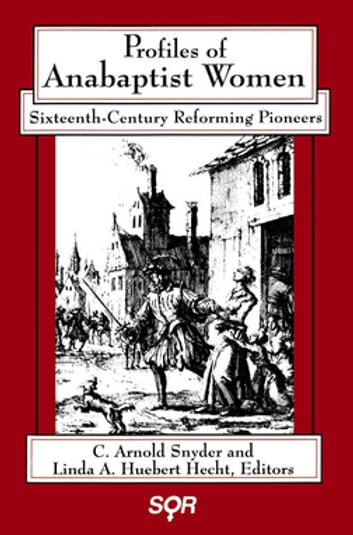 Profiles of Anabaptist Women provides lively, well-researched profiles of the courageous women who chose to risk prosecution and martyrdom to pursue this unsanctioned religion — a religion that, unlike the established religions of the day, initially offered them opportunity and encouragement to proselytize. Derived from sixteenth-century government records and court testimonies, hymns, songs and poems, these profiles provide a panorama of life and faith experiences of women from Switzerland, Germany, Holland and Austria. These personal stories of courage, faith, commitment and resourcefulness interweave women’s lives into the greater milieu, relating them to the dominant male context and the socio-political background of the Reformation. Taken together, these sketches will give readers an appreciation for the central role played by Anabaptist women in the emergence and persistence of this radical branch of Protestantism.